Subaru WRX Concept: This Is It. 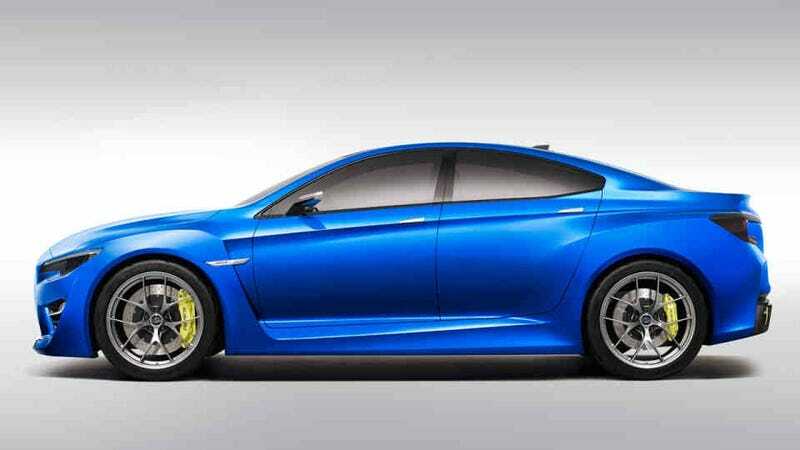 Fresh off the heels of the leaks of the CTS and Camaro, the new WRX has been leaked, and Road & Track assures us it's real, not a render. The new WRX features bold styling from what has become a conservative company. It looks a bit like a Camry or that Furia concept to me. Gold tinted exhaust pipes hint at the Rally heritage of the WRX. The lights look borrowed from a Toyota Avalon. Anyways, tell us what you think.